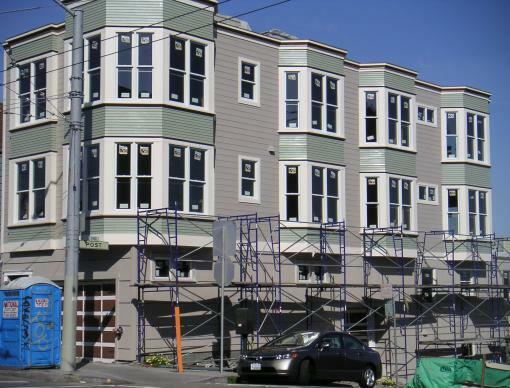 A year ago construction began on a multi-unit building at the corner of Post and Masonic Presidio. After nine months workers stopped showing up. And today, the building sits unfinished and off the market (as far as we know).